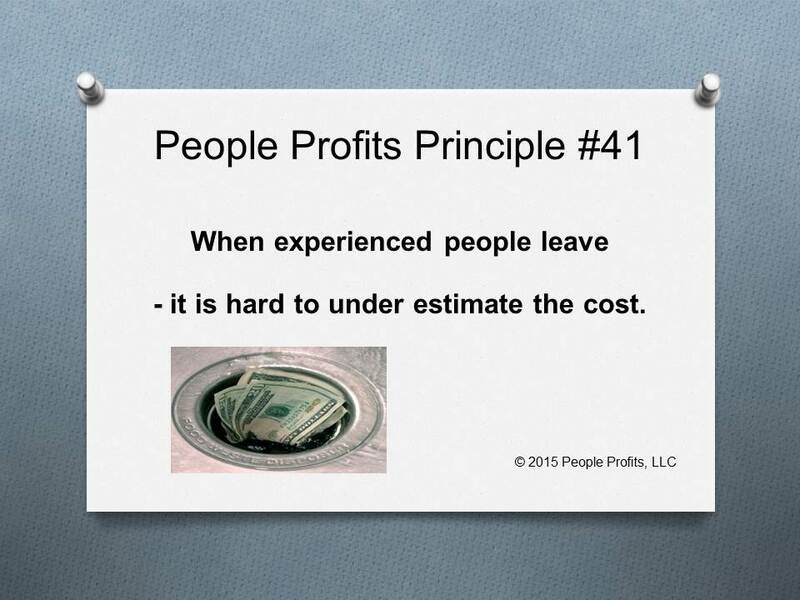 The direct cost of no longer having that person and having to find someone else with that level of experience. Where did the person go - to the competition? That cost could be astronomical!! What were the issues and how could they have been solved? Our experience has been the cost of losing them dwarfs the "cost" of keeping them. So many times the "cost" of keeping them was no cost at all.